If you have jailbroken iOS devices, and later you find your iDevice is less stable as well that the battery drains quick down than normal mode. So, inherently you feel inconvenience with it right. You should restoring the phone in its normal mode. 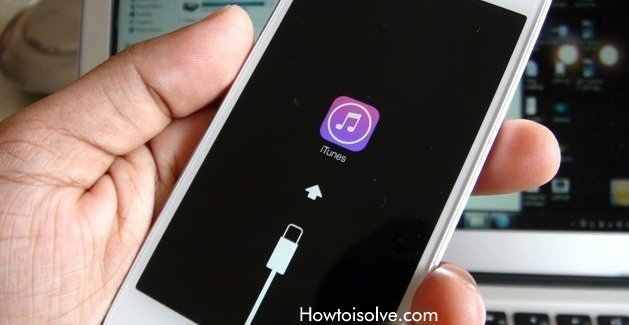 Then follow this given step by step instructions and get back your iPhone, iPad and iPad touch in normal mode. In fact using this tutorial on how can I do my iPhone, iPad in Un-jailbreak mode? You will achieve easily success. This trick compatible with iOS 8 coming in beta, iOS 7.1.2, iOS 7.1.2, iOS 6, iOS 6.1.5, iOS 6.1.4 and other older version in iOS. Useful: How to change jailbreak root password on iPhone, iPad for security reason. First of all to get iPhone, iPad in Un-jailbreak Mode, download Apple’s software for your iDevice, for that follow given below action; Connect your iDevice with your Computer (Mac or Window), after that launch iTunes from the Desktop Screen and wait until the sync process to complete. if you can’t appear it then press Ctrl+S. In the iDevice’s summary tab, Select Restore iPhone/ iPad / iPod touch option and Click on it. Even when you click on this option you will appear iTunes message alert box. Similarly given below, don’t worry and click on Restore option to further process. Now, iTunes will fix to Apple’s Server to discover appropriate software version for your iDevice. And you will can see also software update notice screen: equally screen like specified below. Normally click Next >> Agree to it, without abort process. 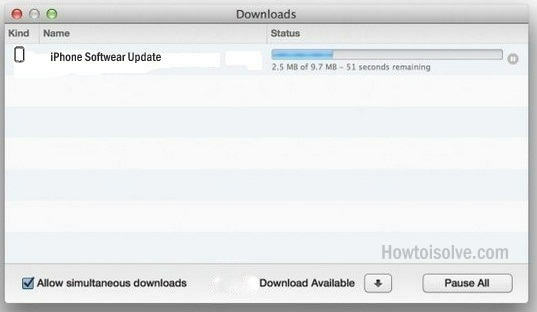 iTunes will download the desired firmware. Furthermore you can also track download process by click on down arrow icon from top side screen of programs interface of the iTunes. Note: – before restore your iDevice; make sure that your iPhone, iPad back up is took or not. If you have not back up of your iPhone then take it first. it you will can take from given below kinds of screen. Click on Back Up Now option from iTunes iDevice summary tab. really it’s easy for you doing iPhone, iPad in Un-Jailbreak Mode. Now start for boot your iPhone/iPad /iPod touch into DFU mode. Next; after your device is off, press and hold power button for 3 to 4 second. Now press and hold both button Power + Home for 10 Sec. After 10 sec. release the Power button but press the Home button continue. 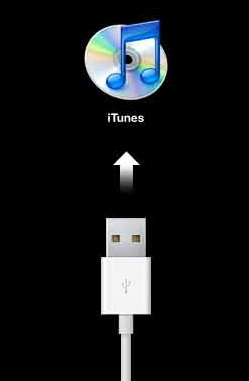 It hold until iTunes says that your iDevice completely connected with recovery mode; and this screen you can see like given below type. If you want to exit DFU mode then hold the Home + Power button awaiting apple logo appears. Now you can show that following kind of message in iTunes screen, your iDevice has successfully entered into recovery mode. 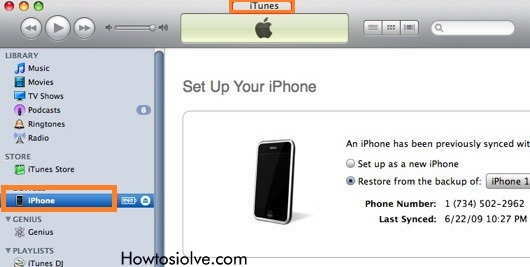 Again click on Restore iPhone/iPad/iPod touch option to start restoration; now further process is automatically boot up; wait until completely boot up your iDevice. In last if restoration process completes successfully; then you get your iPhone un-jailbroken mode. Now in there should be no Cydia or Extra tweak software. It’s last process for iPhone, iPad in Un-jailbreak Mode. Finally click on restore option on iTunes and back up to recover your iDevice data like all installed apps and other productivity software on your Device. Let’s write replay and know to us how to useful this tips on, how can I Do My iPhone, iPad in Un-Jailbreak Mode? Like it? Share also that’s why many others people can also following this tips, if they are fell less compatible with jailbroken device.